WickedLeak's Wammy Ethos Tab 3 is set to compete against a range of budget dual-SIM Android tablets available in the market currently. WickedLeak has announced the launch of a new 7-inch tablet – Wammy Ethos Tab 3. 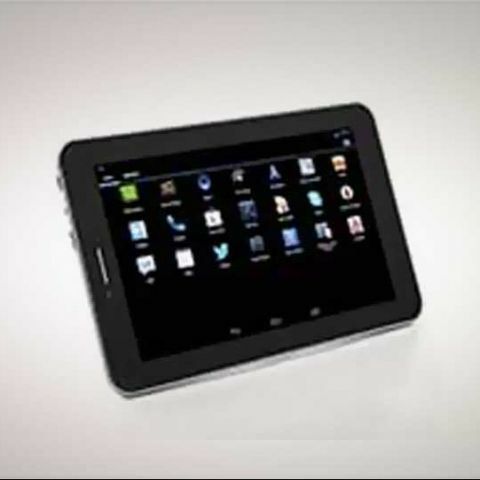 The WickedLeak tablet supports dual-SIM (GSM GSM), runs Android 4.2. JellyBean OS and is powered by a 1.2 GHz quad-core processor along with 1GB of RAM. The Wammy Ethos Tab is up for pre-order via official website for Rs. 10,990. The WickedLeak Wammy Ethos Tab has a 7-inch IPS display with 1024x600pixels resolutions. It sports 5MP rear camera and 2MP front camera. The tablet comes with 8GB of built-in storage, expandable up to 32GB via microSD. For connectivity, the Wammy Ethos Tab supports GPRS, EDGE, 3G, Bluetooth, microUSB and Wi-Fi. The tablet is powered by 3500 mAh battery, which is rated to deliver 5-6 hours of talktime. WickedLeak's new tablet will compete with the Swipe MTV Slash 4X, which features 7-inch display, Andrid 4.2.2 Jelly Bean, 1.3GHz quad-core processor and is priced at Rs. 9,999. Simmtronics also offers a dual-SIM quad-core tablet - XPAD Freedom – featuring 7.8-inch IPS display with 1028 x 768 pixels resolution, 5MP rear camera and 5,000 mAh battery. The Simmtronics tablet is available for Rs. 13,999.